The whole idea of using your mobile phone’s camera view as a screen on top of which to add geo-specific information (also known as augmented reality) is one of the more exciting areas in the world of mobile apps. 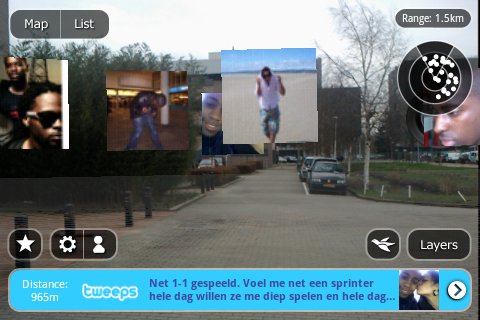 Amsterdam-based Layar, one of the companies at pushing the boundaries of this growing movement, just released Layar 3.0, which offers a whole slew of new ways to layer data onto the real world as seen through your phone. 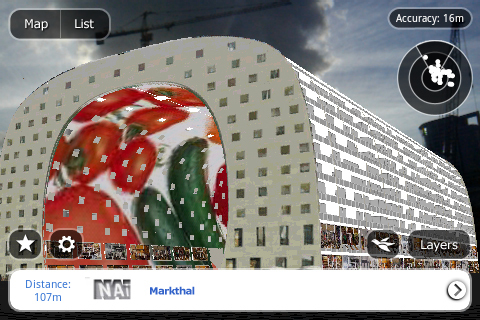 The company opened up its augmented reality browser to developers last summer and more recently added 3D capabilities. In a blog post, the company details how developers are using its augmented reality platform. 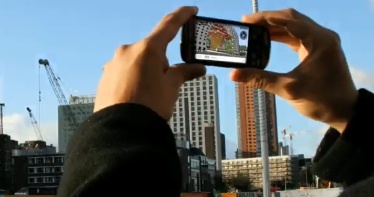 One developer created a 3D architectural model of a building in Rotterdam so that visitors to the construction site can see how a superimposed version of it will look on their phones (see video below). 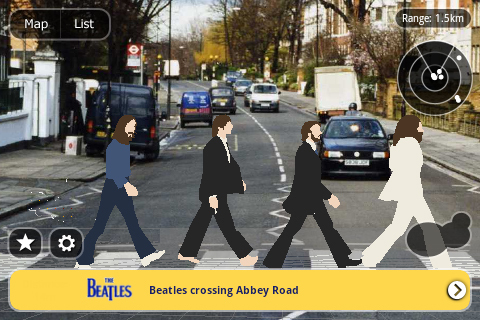 Another one added cut-outs of the Beatles on Abbey Road and other places they sing about. You could do the same with historical tours, adding historical figures and information about events as augmented reality notes which pop up or let you play an audio narration when you are actually there. 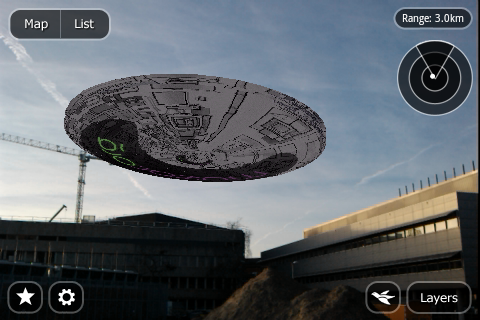 Or you could just add Blimps and UFOs over buildings as sort of an augmented reality graffiti. And of course there is also a Twitter app which shows nearby Tweets, along with the avatars of the people who Tweeted them (at least I think that’s what it shows).